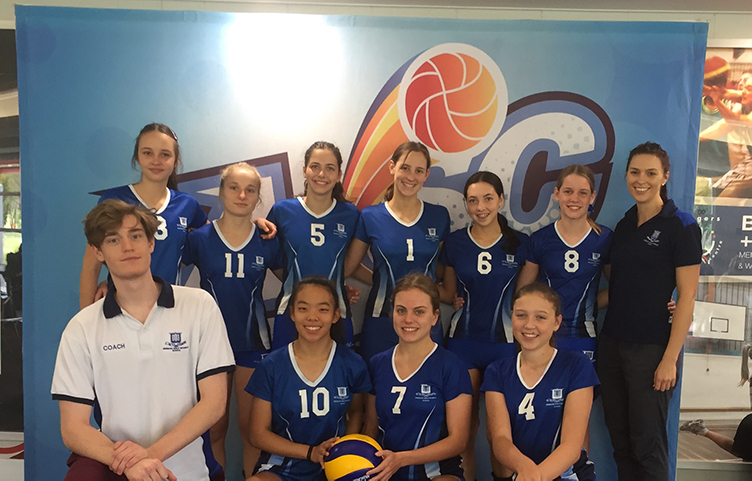 At the beginning of the 2018 summer holidays, two Girls Grammar teams traveled to Melbourne to compete in the Australian Volleyball Schools Cup. This is the 17th year Girls Grammar has attended this tournament. Both teams played exceptionally well and represented the School proudly. The Senior team finished 9th in the Year 11 Division 3 competition and the Year 9 team placed 5th in the Year 9 Division 2 competition. Congratulations to all girls who participated. Thank you to the accompanying teacher, Ms Jane Martel, for her great work and support throughout the trip and the dedicated coaches, Ms Harriet Ayre and Mr Magnus Murray Douglass. The girls certainly benefited from the coaches’ expertise and guidance. Brisbane Girls Grammar School Year 9 Volleyball team.